Check out our neat and amazing recipe for our absolutely delicious Pumpkin Pie Cake! If you have been looking for some great dessert recipes for this coming fall, then you can look no further! 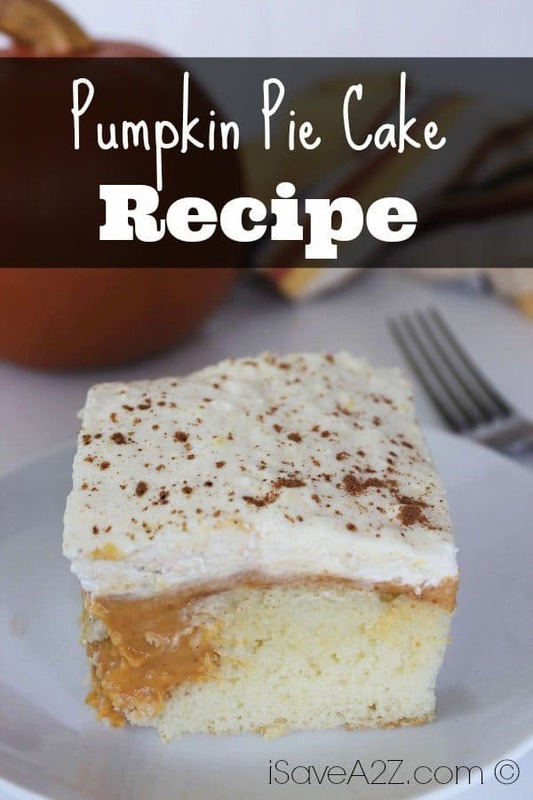 The recipe below will bring you step by step into making the most amazing Pumpkin Pie Cake you will have ever made from your very own kitchen! If you happened to like this recipe, then you should be sure to check our our other great recipes! Such as our Coconut Cream Cheese Pound Cake, our Baked Apple Chimichangas, and plenty of others! Whenever you are in need for a nice dessert, then you should check these out! If you happened to like any of the recipes I have listed here, then you should definitely try out this neat cookbook for everything sweet and wonderful! You will be sure to find the best dessert recipes with this! Even if you are looking for the perfect dessert to compliment your dinner, be it with friends, families, or special guests, you should be able to find what you are looking for with this cookbook! Bake cake in 13x9 pan according to box directions. Poke large holes throughout cake. Combine pumpkin, evaporated milk, 1 and 1/2 boxes of pudding mix and pumpkin pie spice in large bowl. Pour over cake making sure to get into all holes. use a spatula to spread out evenly. Combine remaining 1/2 box of pudding and whipped topping and mix well. Spoon over cake and spread out. Dust with a little pumpkin spice. By Megan on October 5, 2016 Desserts, Recipes.